If you know me personally you will have noticed I have been in a love affair with tights since I was 18. I have every colour under the sun and more recently have extended my love of prints to my legs. Yes i do get quite a few funny looks here in Seattle. Not to worry I'm used to that. Strathcona Stockings specializes in fine printed stockings and socks. Every print is original and is designed, collaged, photographed, or drawn in-house. Started in a little-known town situated between the forest and the ocean, Strathcona makes all products in limited quantities and each stocking is locally and individually printed. 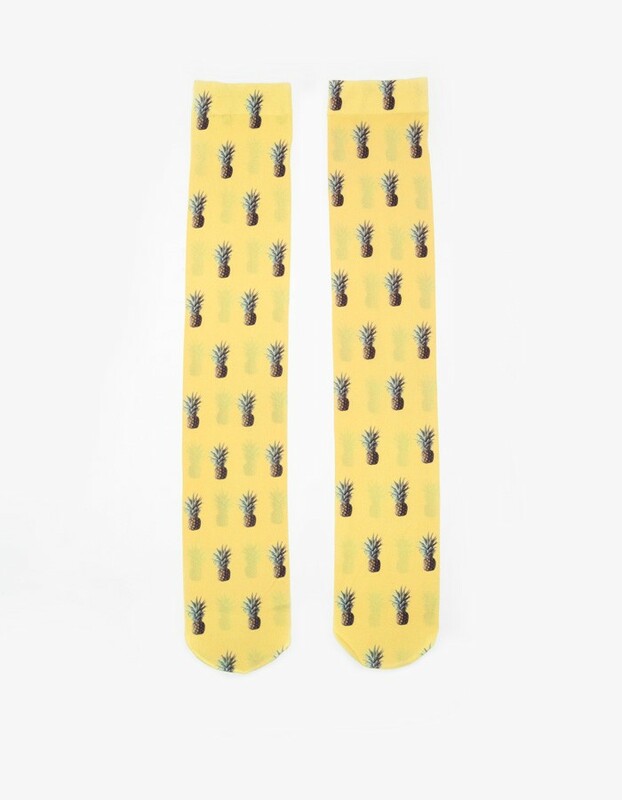 Hand-printed opaque knee-high stockings in Pineapple Love print.